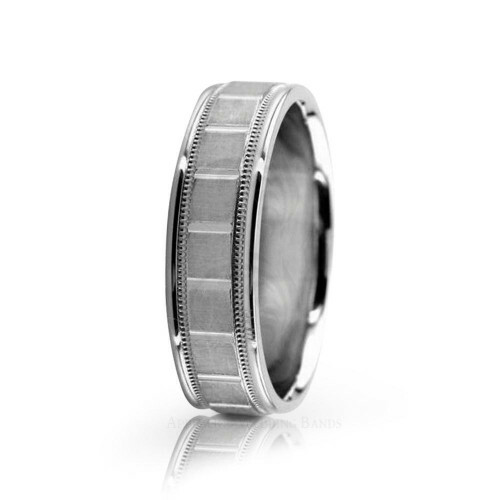 This lovely solid 10K white Gold designer wedding ring is Satin finish. Features comfort fit interior for more comfortable wear. All of our wedding rings are individually handcrafted, so you can be sure that your ring is a special piece of craftsmanship handmade just for you and for your ring size by one of our skilled craftsmen in the USA.Our rings are 100% customizable. Please inquire for any changes you would like to make. You can request different metals, metal combinations, widths or sizes not shown. You may also contact us for any other design ideas you may have.